It’s been three months since I last spoke about my next book Chimborazo. It’s time I updated you and gave you another short teaser from the book to whet your appetite. When I last spoke about it back in June, I had just completed the first draft, weighing in at a hefty 140,000 words. This compares favourably with Seven Steps from Snowdon to Everest, whose first draft came to an enormous 180,000 words, but I’ve learned to waffle less since then. I took nearly a year off work to write the first draft. I’ve now returned to work again, so progress has slowed a little, but I haven’t been idle. 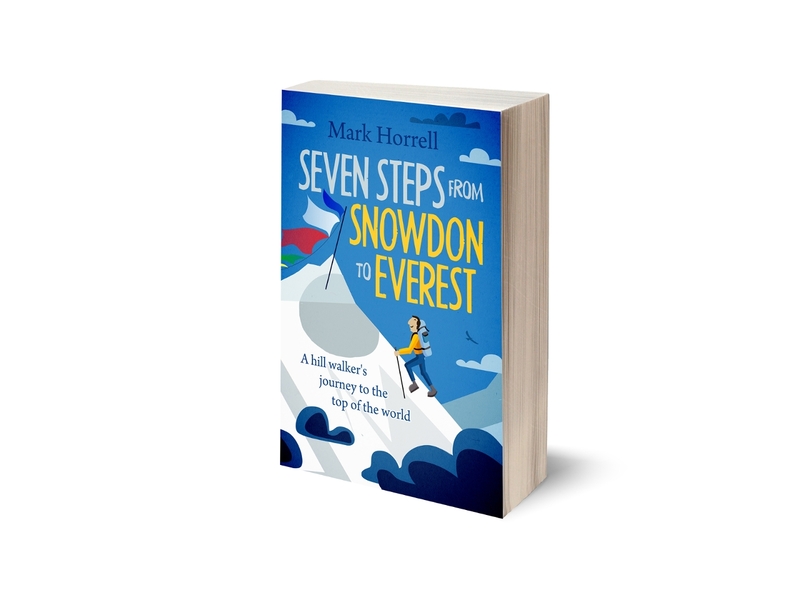 I completed a second draft, which involved reorganising a few chapters, tidying the text up a bit and chopping it down to a more manageable 113,000 words (as a comparison, the final version of Seven Steps is around 118,000 words). I then sent the manuscript to my editor Alex Roddie. This was the first opportunity for someone other than myself to take a look at it and provide feedback. Alex wrote a critique of the book and sent it back to me. I must admit, I was a little nervous about the critique. I knew that I had written a more polished first draft than I had with Seven Steps, but I didn’t know if the story would be as engaging. Happily, Alex set my mind at rest: he seemed to like it. That was nice of him, but I can also give the thumbs up to Alex’s critique. He identified a few areas where the book can be improved to turn it into more of a page turner. I’m now working my way through them and completing a third draft before I send it to a group of volunteer beta readers for the next round of feedback. I’m very happy with the way the book is shaping up. So without further ado, here’s the short extract. 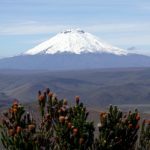 The book is all about my sea to summit challenge last year, when Edita and I tried to complete what we believed to be the first ever ascent of Chimborazo in Ecuador, starting from sea level. The challenge involved cycling up through the Andes and climbing the mountain. But I hadn’t ridden a bike for years and was woefully unprepared. 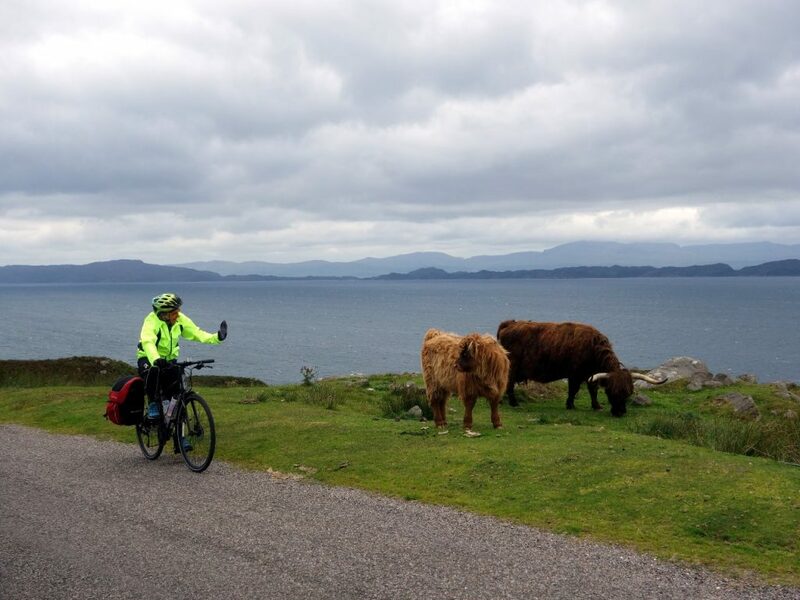 To remedy this, a friend suggested we cycle the North Coast 500 around north-west Scotland. This extract is all about our preparations for that trip. Bear in mind, I’m still at the drafting stage and there will be further edits before the book makes it to publication. I hope you enjoy this extract and welcome any feedback. No wonder I hadn’t heard of it. Two years earlier, there had been no such thing as the North Coast 500, but it was already well on the way to becoming one of Scotland’s most popular tourist attractions after Edinburgh Castle, Ben Nevis and the Loch Ness Monster. The North Coast 500 – or NC500 as we would soon be calling it – was an 830km road trip that loosely followed the coastline around the far north-west of Scotland. It was invented by the North Highland Initiative (NHI), an organisation set up by Prince Charles as a way of boosting tourism in the Scottish Highlands (and keeping him busy until his mother is ready to let him take over the United Kingdom). The NHI markets the NC500 as ‘Scotland’s answer to Route 66’, not because it crosses the length of the United States in a 2,500km sweep, had a song written about it, and was a major migration route for families escaping the great American dust bowl of the 1930s, but because it’s … well, a road that you can drive around, I guess. I can tell you that it’s called the NC500 because it’s 516-miles long and NC500 sounds a bit cooler than NC516. 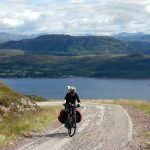 While most people drive around it either in camper vans or on Harley-Davidsons (and other vehicles, too), the route has become something of a extreme challenge for endurance cyclists. In August 2015, the freakishly talented endurance cyclist Mark Beaumont christened it as a bike trip by cycling the whole thing in the ludicrously outlandish time of thirty-eight hours. The former professional cyclist James McCallum then chopped an extra seven hours off Beaumont’s record by pedalling it in a barely human time of thirty-one hours. To prove that it’s a challenge not only for endurance cyclists but crap cyclists too, I intended to follow in their slipstreams by completing it in … well, just by completing it without ending in a crumpled heap (though the last part of this resolution was likely to prove ambitious). I didn’t have the legs to match the achievements of Mark Beaumont or James McCallum (or a bike with a jet engine), but we hoped that fourteen days might be sufficient. 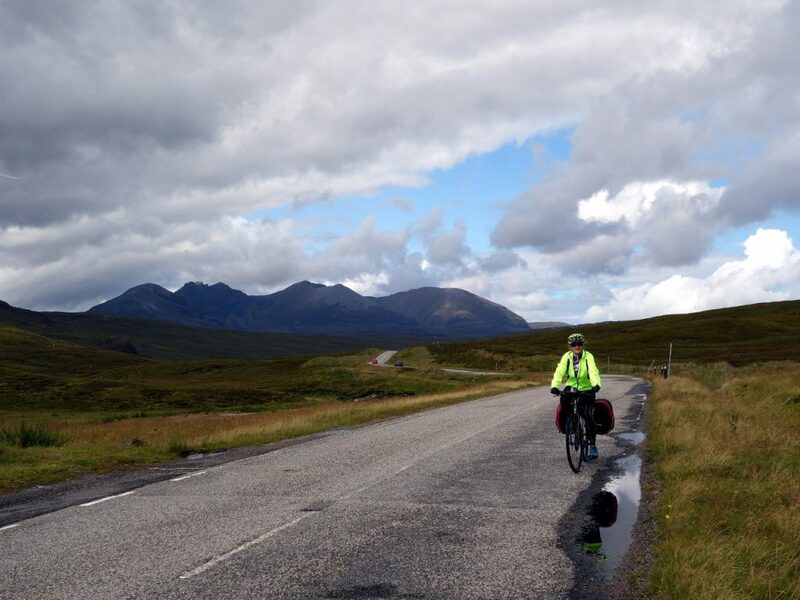 By coincidence, and in an act of serendipity that mimicked the parallels between the NC500 and Route 66, on the day we started our bike ride around north-west Scotland, Beaumont would be thirty-eight days into an attempt to cycle round the entire world in eighty days. As thousands of people around the globe were eagerly tracking his progress on social media as he whizzed across Central Asia, approximately bugger all people (with the possible exception of my dad), would be tracking my progress as I crawled through Scotland. To give myself credit, I would also be accompanied by the first Lithuanian woman to climb Everest, so there remained a chance that our trip might at least raise some eyebrows in Lithuania. But before we could get on our bikes, we still had some preparation to do. There was an official North Coast 500 website that we hoped to glean some information from, but it appeared to be funded by selling NC500 membership (whatever that meant) and memorabilia. 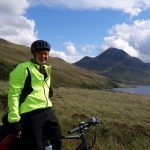 It didn’t seem possible to read their cycling itineraries without popping in your credit card details and purchasing an NC500 sporran or similar item of branded merchandise. That wasn’t much use to us, as the sporran would probably dangle too close to the brake cables, but we did manage to download a guidebook listing some of the sites to visit along the route. Rather more helpful was the Walk Highlands website, a resource that you can disappear into for so long that if you’re not careful they will need to call the mountain rescue service to get you out again. From here I identified four peaks that we could hike up from the NC500. These were Liathach, An Teallach, Suilven and Ben Loyal. I was familiar enough with Scottish weather to know that the chances of them being clear of cloud on the day that we happened to ride past were only slightly higher than finding Sean Connery waiting at the start to serenade us with bagpipes, but you never knew. To avoid booking accommodation, we decided to camp. The final part of our planning was deciding what equipment to take with us. The camping and hiking part of our agenda was no problem. We had all the equipment and clothing we needed from countless previous adventures, but I was woefully ill-equipped with the tight lycra that I knew every cyclist was obliged to wear in order to look even vaguely competent. Two days before we were due to start we visited a Decathlon store in London to buy the full uniform: cycling shorts, groin-hugging long trousers, short- and long-sleeve shirts with pockets at the back, fluorescent jackets and ponchos. For some reason the long trousers came equipped with a pair of shoulder straps which, had I been carrying a few extra pounds, would have made me look like the wrestler Big Daddy. It was a little disconcerting to ponder upon why the item needed shoulder straps. Did the trousers slip down while riding? To be honest the shorts were a bit of a shock too. They had built-in padding in the seat because, I was told, all cycle tourists can expect to get sore hindquarters after a few hours on the bike. A bigger shock was some special cream the shop assistant recommended us to buy. He said we could ease some of the discomfort by smearing it onto our buttocks every morning before getting on our bikes. This raised other questions that had been lurking at the back of my mind. I had no idea that cyclists had to smear cream on their buttocks every morning, but I did know that they shaved their legs. Would I be needing to do that too? The thought made me decidedly uncomfortable. Phew. We had given ourselves less than two months to plan the bike ride and make all the arrangements; and we had done it. I was a happy man when we arrived in Inverness one Tuesday morning in early August.